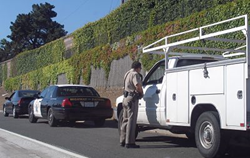 Finding an experienced traffic ticket attorney can greatly change the total costs associated with traffic violations. Ticket Reducer's new site at ticketreducer.com has greatly improved its user experience and content to better educate visitors about their options in fighting a traffic violation, as well as connect visitors with a certified ticket lawyer for assistance in reducing ticket fees, avoiding courthouse lines, and reducing or eliminating DMV points. Nobody likes getting a traffic violation. Ticket Reducer helps reduce your costs and DMV points. It's well worth getting your free consultation and is only $25 to fix a ticket. Ticket Reducer has taken strides to improve website functionality and user-friendliness. The site's improved layout, content structure, and mobile responsiveness provide users a better experience and ease of access to important information about how to handle traffic tickets in Las Vegas. Ticketreducer.com aims to provide an ever-improving solution for people to understand best protocols for their legal issues, and get help from seasoned traffic attorneys to reduce fines, reduce or eliminate DMV points, save time by bypassing visits to the courthouse, and get assistance with a DUI ticket, traffic ticket, or representation by a car accident lawyer. Ticketreducer.com plans to continue adding content to educate visitors on the best way to handle a Clark County traffic ticket, as well as make it easier to connect with an in-house traffic ticket attorney. Ticket Reducer offers free consultations about traffic lawyer services. Many people don’t know about the available options when it comes to handling a traffic violation. Without proper guidance, these violations can be much more costly than needed, so hiring a traffic attorney service is often a valuable investment. In the future, the site may incorporate online payment possibilities and citation lookup systems so that the ticket fixing procedure can be further streamlined. Supplemental video and media content will also continue to be added to help enrich the website user experience further. Nobody enjoys getting a traffic ticket or violation of any sort, and often people don’t realize they may have an option to reduce the costs and fix a ticket. Ticket Reducer's free consultation service and educational content provides a valuable solution for those in need of legal help in Las Vegas, NV.